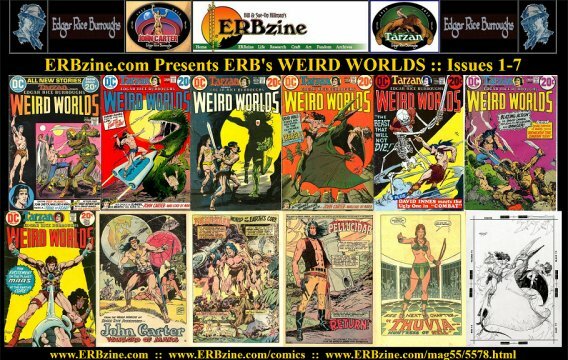 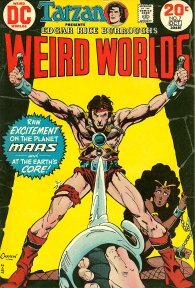 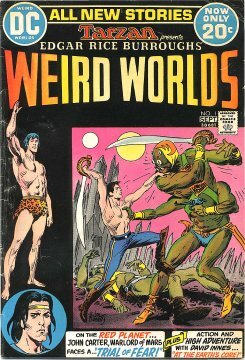 Weird Worlds was an American science fiction anthology comic book series published by DC Comics: it ran from 1972 to 1974 for a total of 10 issues (7 with ERB stories). 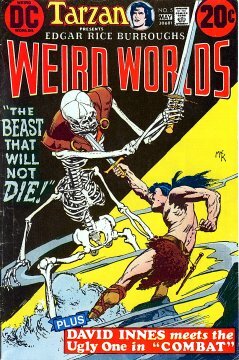 The title's name was partially inspired by the sales success of Weird War Tales and Weird Western Tales. 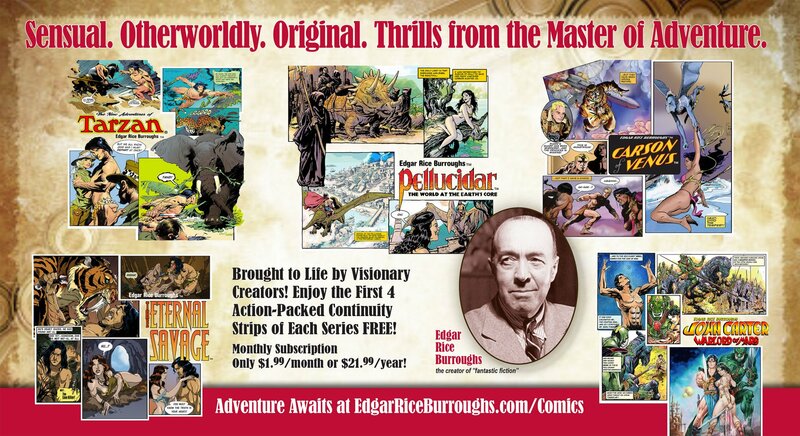 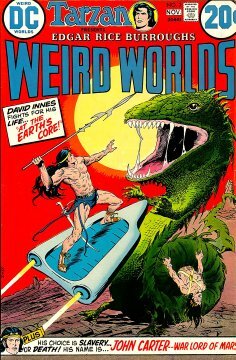 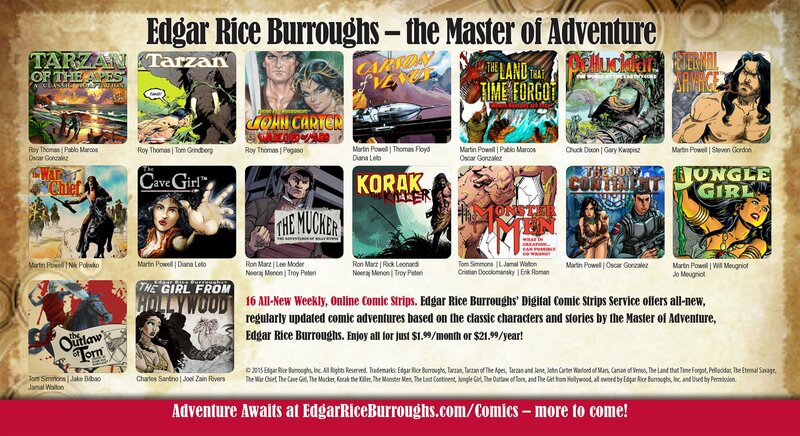 Weird Worlds published series based on fantastic adventures writer Edgar Rice Burroughs' creations, of which DC had obtained the licensing rights. 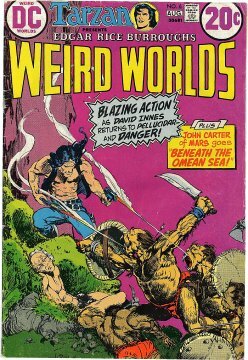 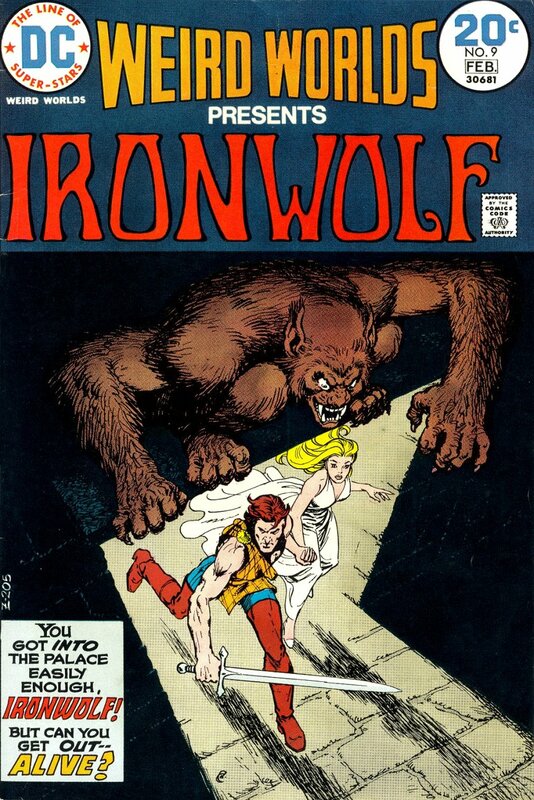 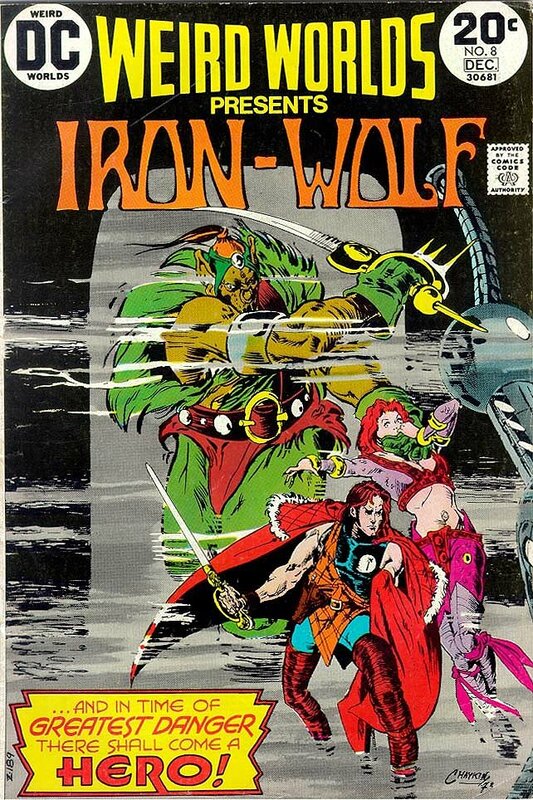 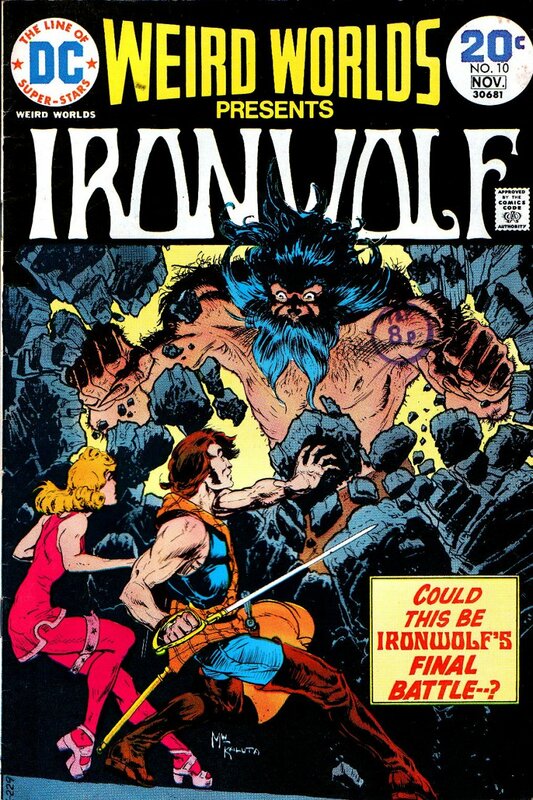 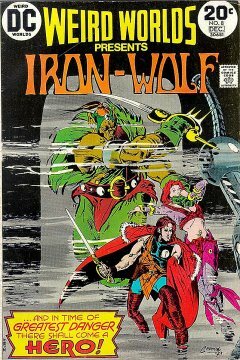 This included the "John Carter of Mars" feature, by scripter Marv Wolfman and artist Murphy Anderson, which moved over from Tarzan #209, and the "Pellucidar" feature from Korak, Son of Tarzan #46 drawn by Alan Weiss, Michael Kaluta, and Dan Green. 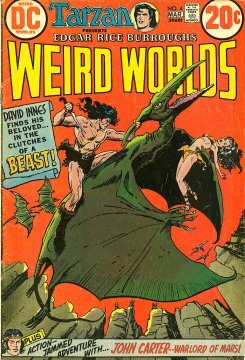 These features ran until issue #7 (October 1973) until it became economically infeasible for DC to continue publishing so many adaptations of Burroughs' work. 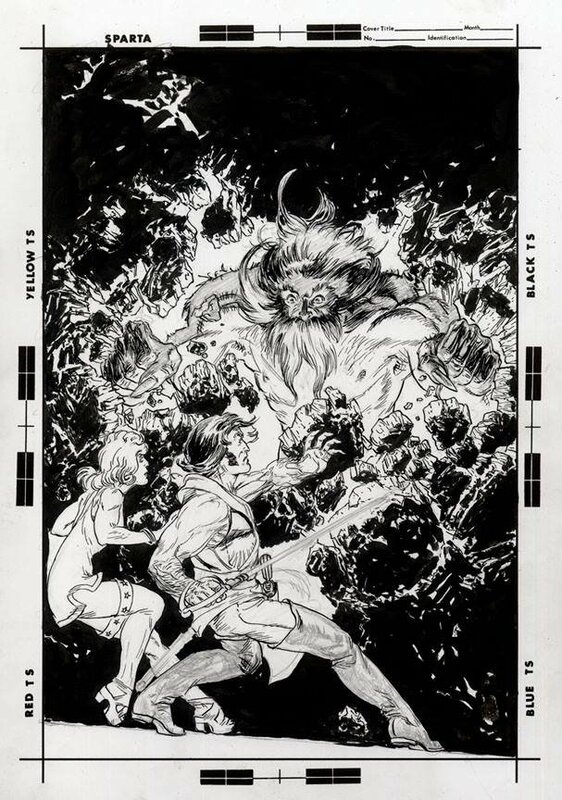 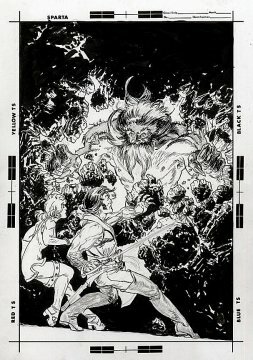 "John Carter" would re-appear in Tarzan Family #62-64 and "Pellucidar" in Tarzan Family #66. 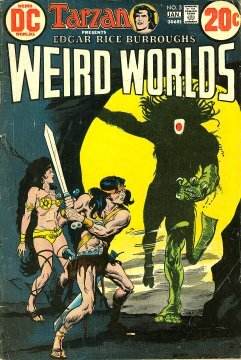 Click to see larger cover images.